The "Geometry" frame allows to select the desired wall shape. The selected shape with a graphic hint ("Chart of wall geometry") appears in the left part of the frame. 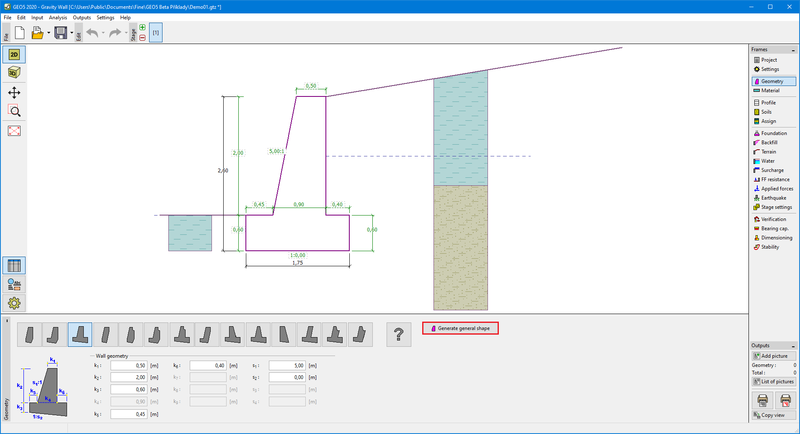 The shape of the wall can be edited either in the frame by inserting values into the input fields, or on the desktop using active dimensions. In case the structure is composed of inclined segments, it is required to enter the ratio of sides of an inclined segment 1:x. A straight structure is specified by entering the value zero. If defined wall shapes are not satisfactory for the wall geometry input, program allows to enter general shape of gravity wall. 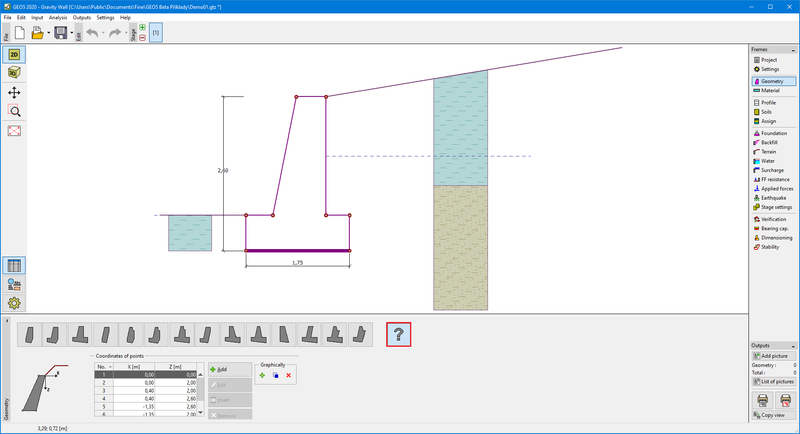 General wall shape is entered by coordinates of points, but it is also possible (by pressing the button "Generate general shape") to generate coordinates of structure from already input predefined wall.